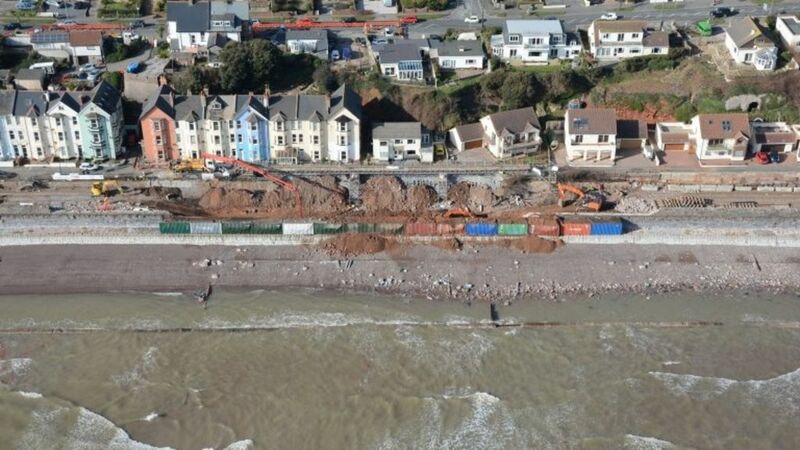 Network Rail has told the government it hopes to reopen the railway line destroyed by storms at Dawlish before its target of mid-April. Rail minister Steve Hammond said he had been given a "commitment" that "if they can beat that date, they will". The track connects Cornwall and much of Devon with the rest of the UK. Transport Secretary Patrick McLoughlin will be questioned by MPs on the Transport Select Committee later over storm damage to places like Dawlish. Network Rail hopes to reopen the storm-damaged railway track in Devon before its target of mid-April, it tells the government. A Pacer enters Dawlish from the Newton Abbott direction in September 2011.